Unlike my carless TV cooking show friend here, I actually do have some Italian in my blood. He was born Guy Ferry in Columbus, Ohio in 1968 and has been American ever since. 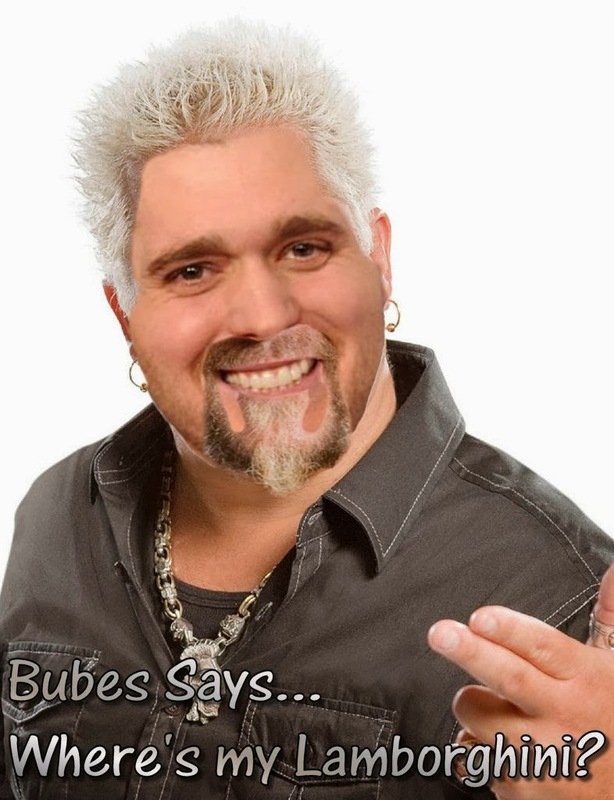 He hasn't even been to Italy, yet he changed his name to Fieri because people trust US/Italians on cooking shows. How else did Rachael Ray become a household name and coin the phrase EVOO? Anyway, they finally caught the guy that stole Guy Ferrari's yellow Lamborghini in 2011 and he was testifying yesterday. Guy was on the stand for 5 whole minutes, during which time he gave his side of the story and shared a Spicy Tequila Pumpkin Pie Recipe. He then shouted at people outside the courtroom for no reason and got on a bus and 'drove it to flavortown' singing "This sauce is money!"